The community of Saints Constantine and Helen Greek Orthodox Church invites the public to celebrate Greek culture June 1-4 at the annual Greek Festival in West Nyack, the largest cultural celebration in Rockland County. Thousands of visitors pass through the four-day festival each year, enjoying traditional homemade Greek foods, delicious pastries, music, crafts, vendors, and raffles, as well as carnival games and rides for children. Among the delicacies offered are traditional favorites such as gyro and souvlaki, pastitsio, mousaka, grape leaves, tiropites and spanakopites (cheese and spinach pies) and pastries including baklava and loukoumades (fried dough balls). Live dance performances by the church’s youth dance troupes and educational tours of the church will complete the weekend’s cultural experience. 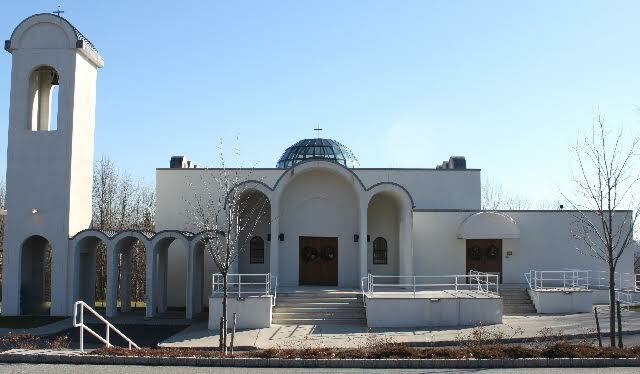 Festival hours are: Thursday- 5:30 – 10 p.m.; Friday- noon – 10 p.m.; Saturday- noon – 10 p.m.; and Sunday- noon to 8 p.m.
Saints Constantine and Helen Greek Orthodox Church is located at 1 Marycrest Road, in West Nyack (Exit 7 off the Palisades Parkway). Staffed by dedicated church volunteers who have spent months preparing for the community celebration, the Greek Festival will take place rain or shine and includes free on-site parking. For more information about the Greek Festival, call the Saints Constantine and Helen Church office at 845-623-4023or visit the website at www.saintschchurch.org.